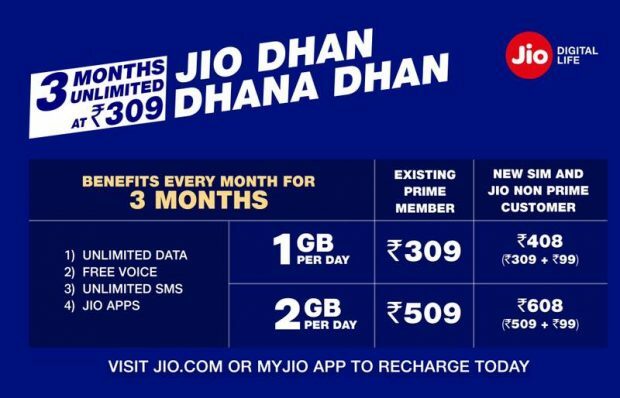 Its happy news for all you VR fans out there. Google cardboard was a step taken in the right direction for google as it was and is a great success. 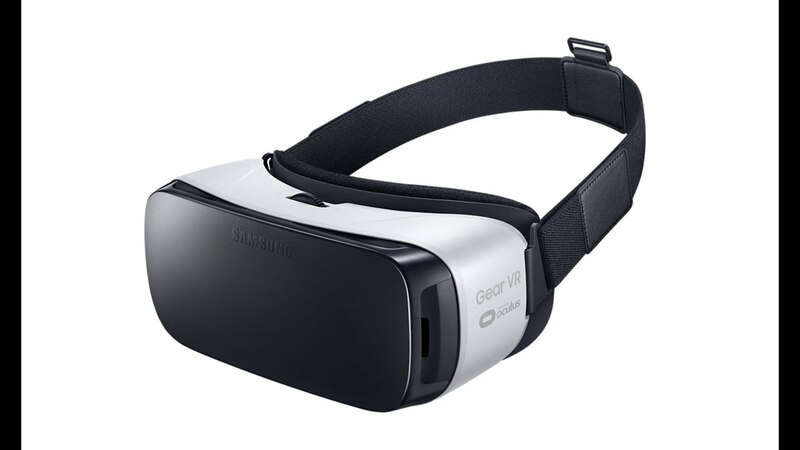 The foundation laid by google was fortified by Samsung with the release of the Gear VR in November Last Year. 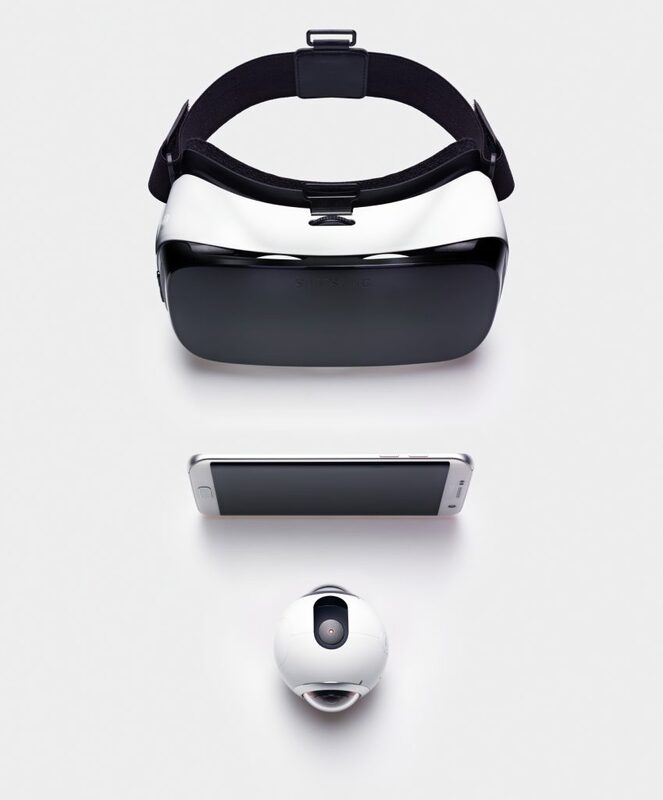 Though there were many VR headsets available for the android platform there wasn’t much VR content to be viewed. 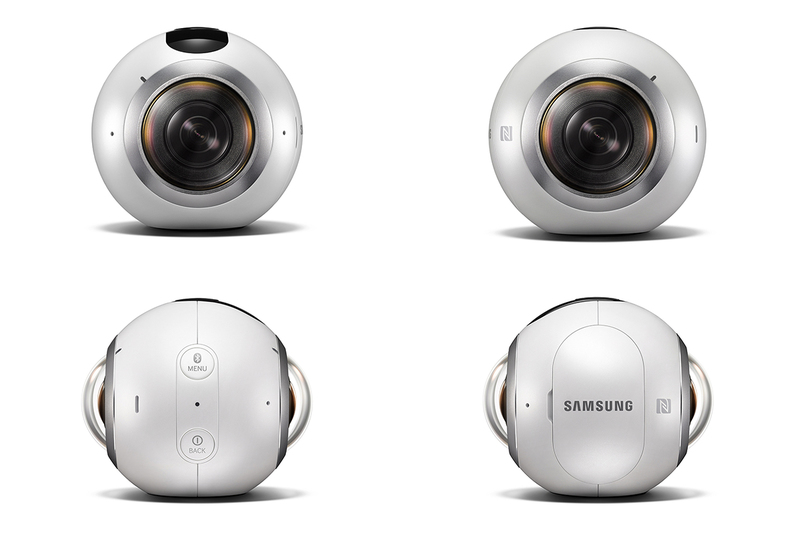 This year Samsung has launched the Gear 360, a camera that can capture 360 degree VR content. The Gear 360 resembles a sphere, It has a pair of 15MP wide angle cameras with a F 2.0 aperture and Fish eye Lenses facing the opposite directions, a power button and menu button on one side with a Samsung logo and NFC radio Logo on the other, the samsung logo is on top of a cover that can be removed to access a 1350mAh battery(thank god).The camera’s dual lens setup also captures still 30MP photos that create panoramic images at 7776 x 3888.Samsung is making use of its Bright Lens 2.0 aperture that’s always supposed to be ready for low-light conditions. 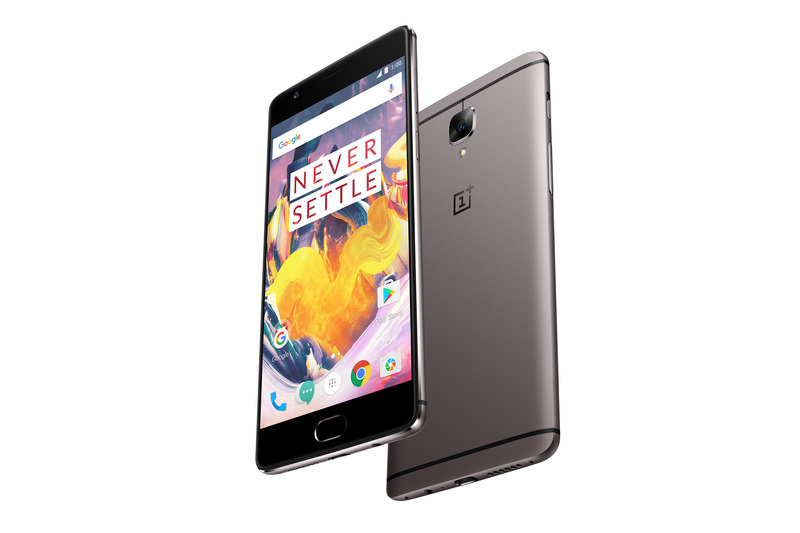 It has a DRIMe5s image processor, 1GB of RAM and, accelerometer and gyroscope sensors. 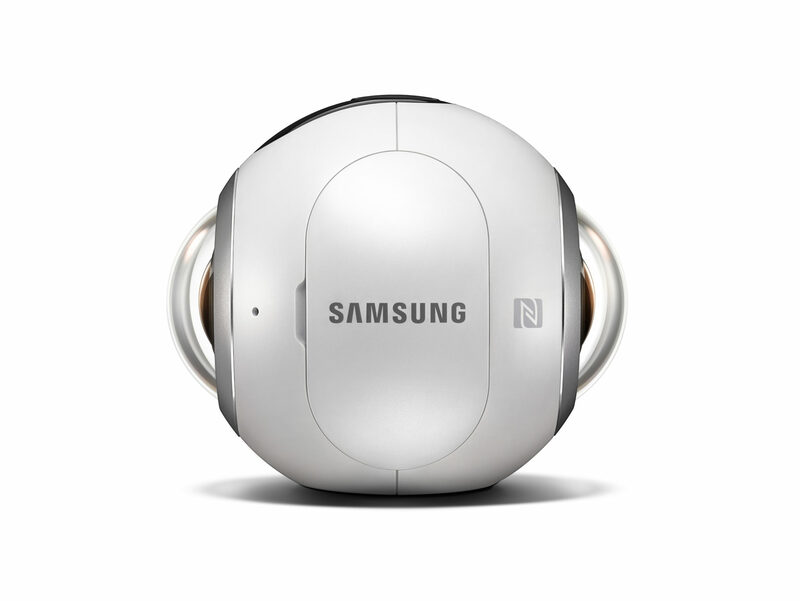 The Samsung gear 360 was launched in Korea earlier this year and is available in the US on a limited basis i.e. Those who are attending the Samsung VidCon conference in Anaheim, California for 349$. The major competition in the VR camera market is from Samsung’s arch rival LG. 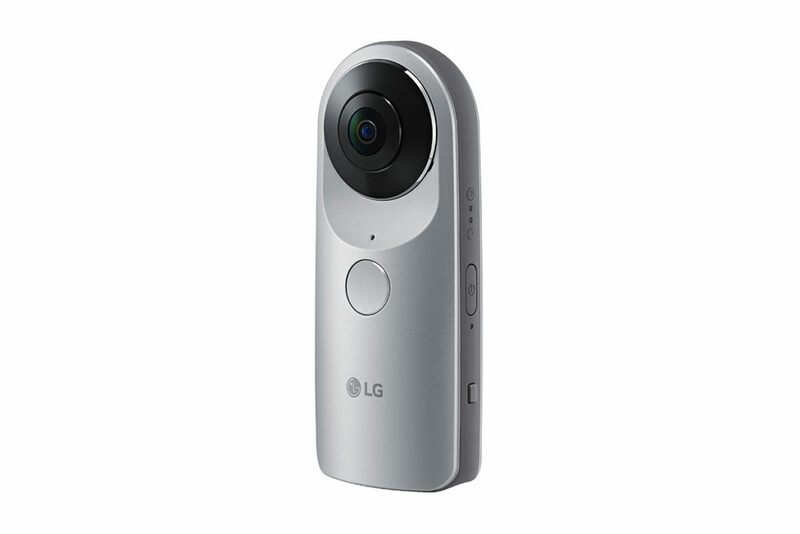 LG launched the LG 360 cam as a part of the “FRIENDS” accessories for the LG G5, The LG 360 cam has an edge in the Price as it costs only 199$ compared to Gear 360’s 349$ price tag. But Samsung’s camera has an edge in the pure specs category as it sports a duo of 15MP cameras compared to LG’s 13MP camera duo. Head to head comparison cannot be held until the worldwide release of the Gear 360 from Samsung. Everything this Samsung camera records is outputted in MP4 (H.265) format for video and JPEG format for still pictures, so it’s easily transferable to your phone, PC and social media. The Gear 360 is compatible with the following phones. All the aforementioned phones are compatible with the Gear 360 via the Gear 360 manager app. The Gear 360 can also sync photos to your PC using the Gear 360 Action Directer application. The Gear 360 is big step by Samsung towards VR so Lets wait and watch how it performs in the upcoming weeks. But for the asking price Samsung has to offer something extraordinary to make the Gear 360 a good deal. For more tech info catch us up at dotdashes.com. Until then Peace out everyone.